Tonight John grilled some chicken thighs and I made broccoli and a corn casserole. The dinner was not a total success because the chicken got over-cooked and the corn was a little rich. However, it was dinner and we will learn from our mistakes. 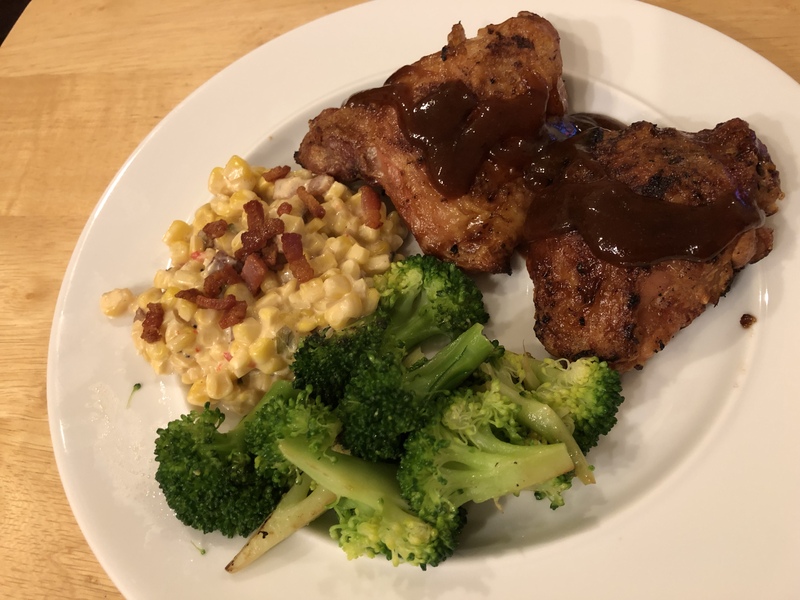 This entry was posted in American, Grilling, Poultry and tagged broccoli, chicken thighs, corn. Bookmark the permalink.